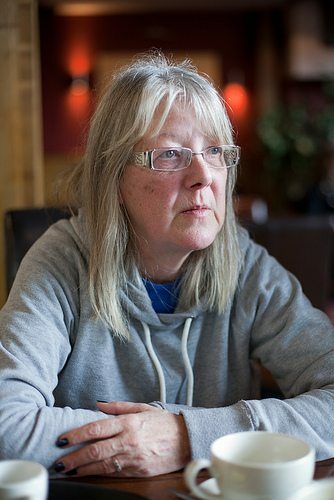 The next phase in the government’s assault on services for disabled people is the withdrawal of the Independent Living Fund. 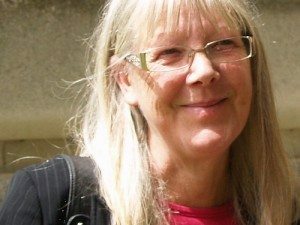 This needs to be at the centre of campaigning around dignity for disabled people, argues Linda Burnip from Disabled People Against Cuts. Part of our series of short contributions from prominent writers and activists looking to the year ahead. I have been an advisor to the EHRC disability harassment inquiry. please send to Linda Burnip linda_burnip@yahoo.co.uk or comment here. 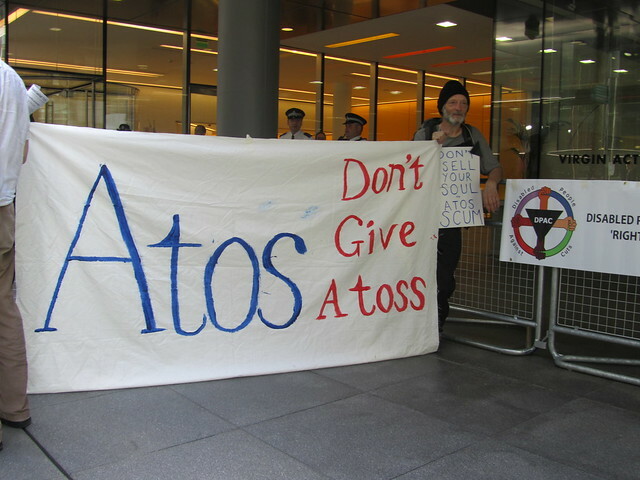 P/s Atos don't give a toss! 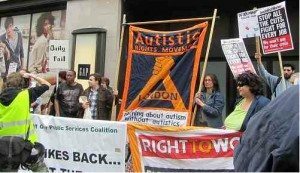 About 60-70 people both disabled and non-disabled gathered once again for over 2 hours in Triton Square, London outside the head office of ATOS orgin who were attempting to hold a recruitment fair. I don’t know about anyone else but I definitely wouldn’t want to work for a firm where I had to be sneaked in and out of back doors to gain entry to the recruitment fair being held and where there was a police cordon and a crowd of angry and very vocal protesters standing around the main entrance to the offices. We saw very few people going into the recruitment fair and many passes which had obviously been prepared beforehand were left untouched at the main reception area. 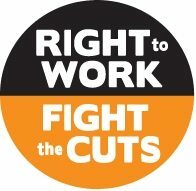 Throughout the protest we gave out over 400 leaflets mainly to other staff who work in the same building as ATOS. They seemed very interested in finding out more about their neighbour’s activities. 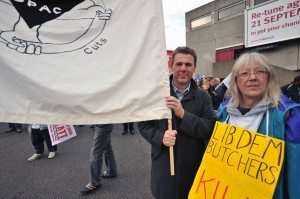 We’d also like to say thank you to the police who were very helpful, and even agreed to get ATOS staff to clear away the left over and unwanted placards and posters from the protest that we left outside ATOS’s front entrance. 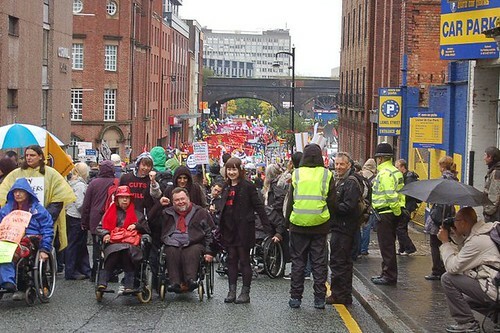 This was a welcome change from our first protest in January when we were all kettled behind metal barriers.